the extraordinaire duo of the former President and First Lady. us with her empowering work towards women and eradication of childhood obesity. 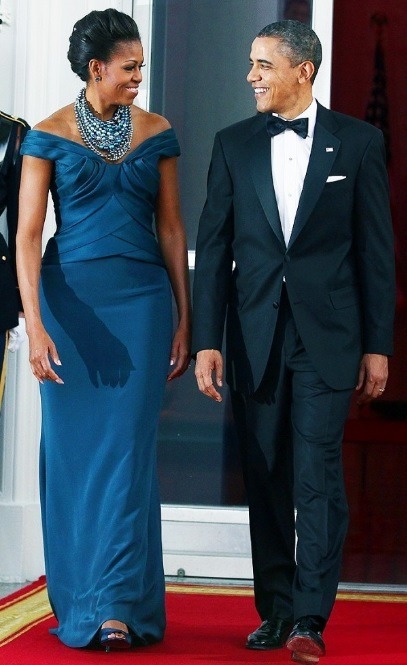 Michelle Obama the ultimate queen of sass. her the diva of the soiree. 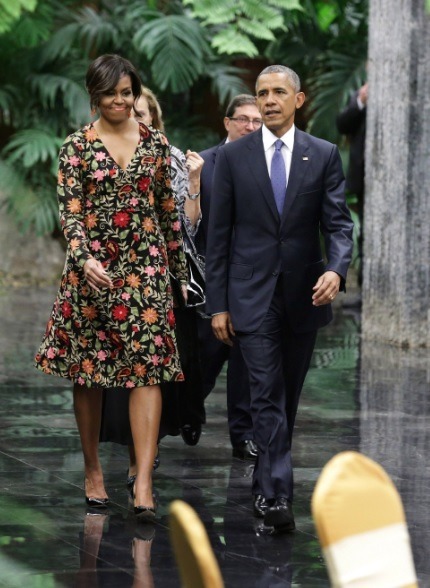 details by designer Naeem Khan made Michelle Obama’s look worth remembering. The colour accentuated her boldness and made her look absolutely chic. appeared wearing them on multiple occasions with maybe only a strand or two. definitely made for a great pick by Mrs. Obama. Full marks for the slick up do! keeping it minimal with black pumps and red danglers. us which one of her looks is your favourite.